Doesn't it feel good to be on the other side of a tragic/depressing event? As each day passes, the pain of what we went through 3 weeks ago becomes less and less. The memories will always be there, but I am so thankful that time does heal wounds. Every day I am blessed by looking out the window and seeing the precious sight of a mother and baby. They are so tender, so gentle to each other. BitterSweet is so different than Sweetums was as a baby. She was raised as our pet, by me bottle feeding her daily. He is being raised by his Mama, and has no interest in being a pet. He runs from us! But that is OK...his independent spirit will serve him well when he is the man of the pasture in the months to come. It was early Monday morning, March 8, and Esther announced from upstairs that one of her goldfish had died during the night. She cried and we had the ceremonial flushing. I comforted by telling her that probably by the end of the week, we would have a new pet, a baby calf to take care of and enjoy. Only minutes had passed when I surveyed the pasture and immediately knew that something was going on with Sweetums. Her due date was between Wednesday March 10 and Saturday March 13, so this was a few days early. I spent some time on the internet researching what the signs of labor were in cows and I determined that she was in the early stages. She spent most of the morning separate from the goats and going in and out of the woods. She didn’t eat. She didn’t rest. She wouldn’t come close to the fence line. The farmer-husband noticed that her belly looked considerably thinner this morning. 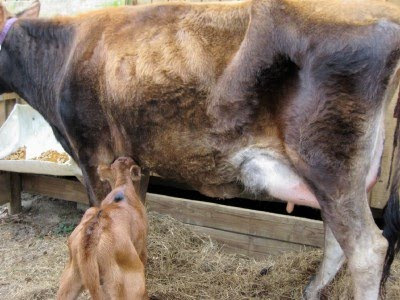 I had read that when the calf moves into position in the birth canal, the belly would look different. But just in case, we did a walk through the pasture and through the woods to make sure she hadn’t already had the baby. We didn’t find anything. 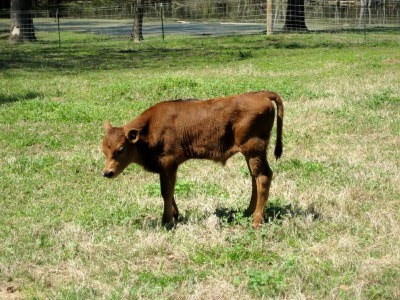 I called the livestock agent at the extension office and he encouraged me to look again in the pasture as it sounded like it was very possible that the calf had been born already. I did some more reading on line and read that when cows are in labor, they frequently have a fever and their instinct draws them toward water. So the farmer checked the woods and pasture once more- still nothing. So we spent the day watching her and getting very excited for our new calf to be born. As the day went on, she continued to go in and out of the woods, but she became less restless and more and more like herself. By 4 o’clock, she was grazing and staying in the open part of the pasture. My own mothering instinct told me that something was not right. I called our vet, and he said that it sounded like he needed to come out and check her. My heart sank as I contemplated what was ahead for us and for Sweetums. There were so many questions, so many concerns. The vet arrived within a few minutes. When he saw her, I could tell he knew something was not right. When he checked her, I kept my head down and eyes closed. It was quiet for what seemed like forever. 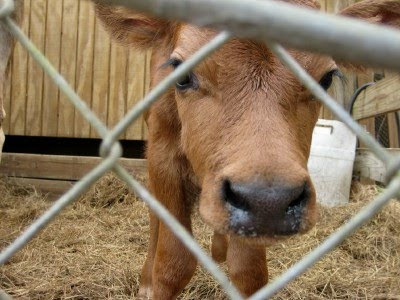 “Guys,” he said, “There isn’t a calf in here.” Those words were like a knife to us. What had gone wrong? What did we miss? I went inside to prepare the kids and cry. Farmer-husband and the vet went to check the woods a third time. Daughter and I cried together inside, knowing that the possibility of the calf being found alive was slim. I went back out to meet the guys as they emerged from the woods. 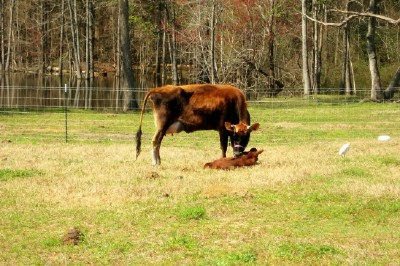 They had found a beautiful heifer calf in the pond in our pasture. I couldn’t believe what I was hearing. I had thought of a lot of scenarios to prepare myself for things that might go wrong with this birth, but this was not one of them. I never imagined that she would have the calf without us knowing anything about it and then for the calf’s life to end before we even knew what had transpired. I was back inside, crying with my sweet daughter who had now suffered the loss of 2 pets in one day. We had spent so much time and energy and anticipation for this one day, and it ended before we could even enjoy it. 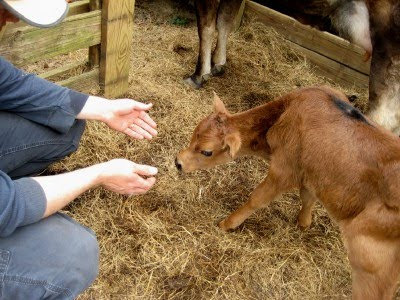 I knew we had a few options for what to do now, and the farmer and I decided to try to get another calf and attempt to persuade Sweetums to take an adopted baby. I called 2 dairies and within about 30 minutes the farmer was on his way to pick up a bull calf from the dairy that Sweetums was born at almost 3 years ago. While he was gone, I did more internet research on how to make this work. It is not uncommon for ranches and dairies to do this in emergency situations, but it is often met with frustration and (more) hard work to convince a Mama that she should mother a new calf that doesn’t smell like her baby. 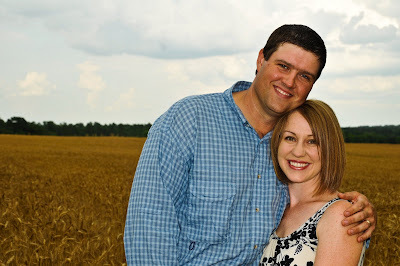 I received a call from a dairyman’s wife that night and she told me what they do in situations like this and encouraged me to not give up or become frustrated. This was a process, just like it had been a process along. This was not going to happen easily. Had anything happened easily yet? This was going to require a commitment on our part to working with the 2 of them so that the calf wouldn’t starve and Sweetums would accept him as her own. I did everything she told us to do. I prayed. We worked. More praying. More crying. And in the morning, we witnessed a miracle. 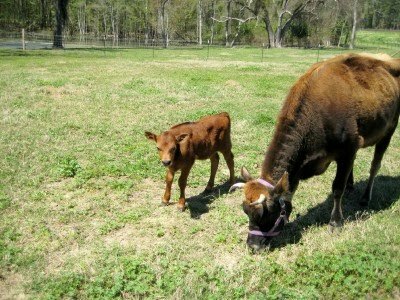 Sweetums now had a little boy calf whom she licked and nursed. She talked to him all day, leading him around the pasture. She protected him and taught him. The sight of them together melted my heart. She accepted him readily-finally, something easy! But the road to this point has been anything but easy. And the thought of what she went through and what we went through that day still hurts. I wish none of us had to go through it. But we did, and I’m very grateful to all the people who helped us during this process. I don’t know that without their help it would have turned out like it did. That is the beauty of a small town and of country life. You have people you can call on who will help you when there isn’t anything in it for them. This morning was just the beginning of their beautiful relationship as Mother and Son! 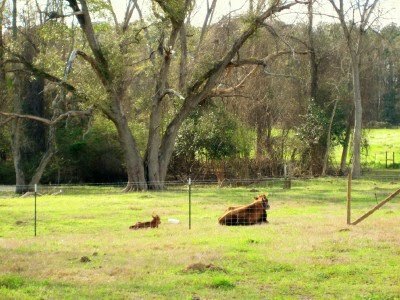 The whole day was spent getting to know each other, taking a tour of the pasture, and Mama staring at her new baby. She is a wonderful Mama, I always knew she would be...and her baby is strong, sweet, and oh-so-fun to watch. Today I milked a cow. Not just any cow, but my cow. 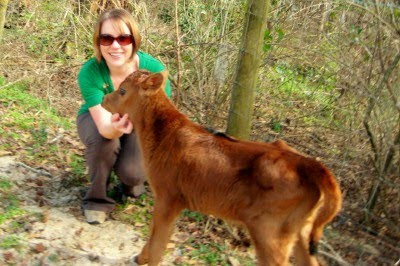 My precious Jersey heifer that I convinced farmer-hubby to buy for me almost 3 years ago. My dream was to have a family milk cow, and today I actually saw that dream becoming a reality. This dream has not happened easily nor has it happened without disappointment and frustration. I guess anything worth working on or toward always has its ups and downs. And you learn from it all, and in the end, you become stronger and you learn about yourself and the world around you in the process. I took on this whole adventure very naively. I think that was probably best, in hind sight. Knowing everything I know now, I don't think I would have jumped into it so blindly. But here I am, on the other side (almost) and I am proud. First and foremost, I am proud of Sweetums. Her mothering instincts are beautiful to watch. She keeps her baby boy, BitterSweet, near her at all times. She lets him run and wander, but she always has her eye on him and will mrrr lowly to get his attention that she is ready to walk. She stands perfectly still now when he nurses and she will glance back at him while he eats, the way a human Mama looks down at her baby while they eat. She licks his face and back when he is done eating, to get all the extra milk off that has splattered on his soft brown fur. When we milked her for the first time, she stood perfectly still for us too. She trusts us. Why wouldn't she? We are her family since she was only 7 days old. I thought milking would be hard to do, but really it is one of those things that you just have to try. I will be totally honest here: I didn't even want to try. I wanted to back away and let farmer-hubby do it all. I wanted to take pictures of the kids trying. I wanted to watch. But it was time for me to face the music, and so with farmer-hubby by my side (and daughter over my shoulder), I reached under her, and did what I was told: "Pull and squeeze!" And when she didn't kick me, I decided that I could do this. There was lots of bucket adjusting and lots of break-taking (the arms really get a work out) but we all stuck with it. They say that you should wait about 4 days after the baby is born before drinking the milk, so we didn't drink what we had in the bucket. But it was pretty to look at. Not bright white, but more of a golden white color. And yes, there was some debris in it that needed to be strained out, flecks of dirt and hay and a few hairs. But I'm not worried about all that. I'm thinking about how unbelievable it is that we are even at this point in the process. 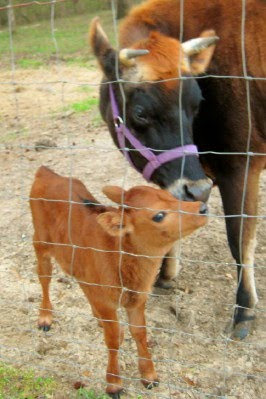 A lot of my friends and readers are asking about the birth of the calf, and I am working on that story. That is why this is part 3 of 3...this is the bittersweet ending. Today is the big-guy's birthday, so I thought I'd do a little post about my darling companion. There is basically one word that encompasses everything about my husband: meloncholy. Which means-a pensive, contemplative mood...for him, it means that there are only a few things in this life that make him really happy. 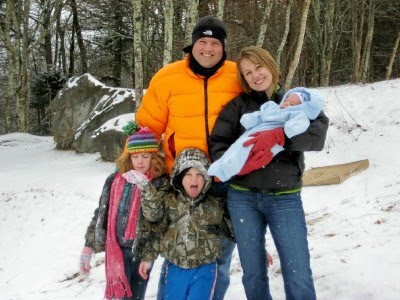 He is an incredible father, husband, leader, and I am really honored to have him in my life. I love his contemplative spirit and I love that only the really important things in life is what puts a smile on his face. 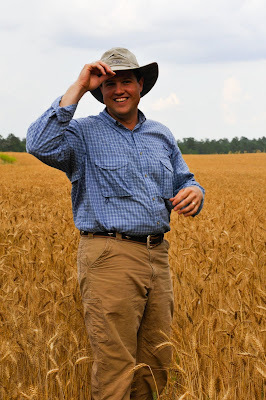 Happy Birthday to the Farmer-Husband! ...and Many, Many More! Nothing exciting ever happened to me when I lived in the city. 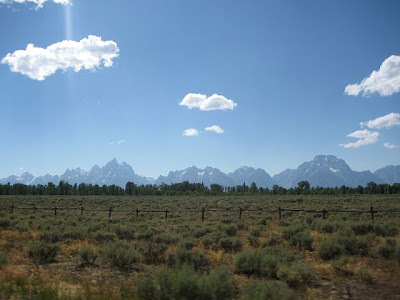 I never saw anything interesting, encountered any peculiar situations, won any contests, and certainly never had anything to write an article or blog about! But now, these opportunities abound in my life and I gotta be honest…it can be tiring. I love my life and I would not change it in any way, but the dog is always barking. 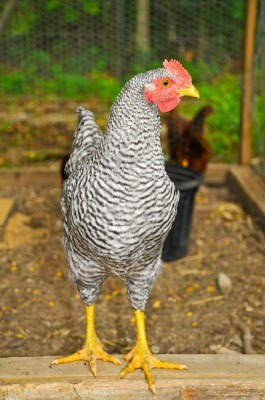 The chickens always need to be fed and their eggs gathered. The cats (and children) seem to be up to constant mischief. The drama surrounding the cow continues to keep me awake at night. The farmer’s work is never done. My 10+ loads of laundry per week never seem to get finished. The dirt being tracked through the house always needs sweeping. There is almost always a situation with rain- either we’ve had too much or not enough. And when the children call my name in a particular way from outside, I find myself debating on whether or not to go hide in my closet because that “particular way” usually means something is really wrong with an animal. And this only happens when I am alone and have to solve the problem drawing on my own (lack of) expertise. But this is life in the country. And this is life everywhere. Even the simple life is complicated. Even life in the calm, serene countryside can be full of twists and turns. As we anticipate the birth of a calf in the next 10 or so days I am realizing that this will mean even more details to work out in our life. This undertaking of having a family milk cow will be frustrating at times. I’ve always been ready for the fun of it, but am I ready for those frustrations? I hope so, because I can’t even begin to imagine what they may be! I’m trying not to focus on all the tiresome and endless tasks of living the simple life. I’m trying not to freak out about all the what-ifs surrounding Sweetums’ new baby. Rather, I’m trying to laugh at all the funny things that come my way because of how and where we live. This morning I was wondering what the small foreign object on the grass was that Sweetums was standing over, and if it had something to do with her possibly being in labor-it turns out it was a football one of the kids threw inside the pasture, and no, that doesn’t have anything to do with bovine labor. I’m also trying to savor the beauty of seeing 2 decorated fox hunters atop horseback trotting down my driveway this morning (and then having a good laugh again because their horses were spooked by Sweetums and her motley crew herd of goats chasing them down the fence line and they took off running to get away from that dangerous bunch). These things don’t just happen to anyone, and they certainly never happened to me before I became an official bumpkin. So I continue to endure the life of a farmer’s wife, out here in the beautiful country, working hard at the simple life and loving every minute of it-the good and the bad. 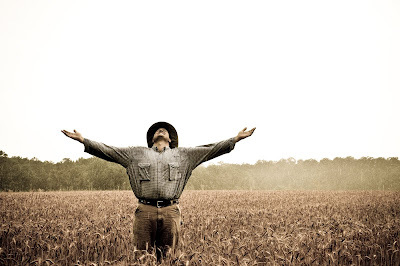 The farmer and I are beside ourselves: the media accurately represented something related to Agriculture. Click here to watch a very short news bit on organics.